Check out those great gams! What a week! LEO DUO is busy creating another ensemble for the New Children’s Museum gala fundraiser “Feasting in Versailles”. This one is sure to be fabulous with a capital FAB! International Art Dealer Alexander Salazar of Alexander Salazar Fine Art will be decked out from head to toe in LEO DUO finery. 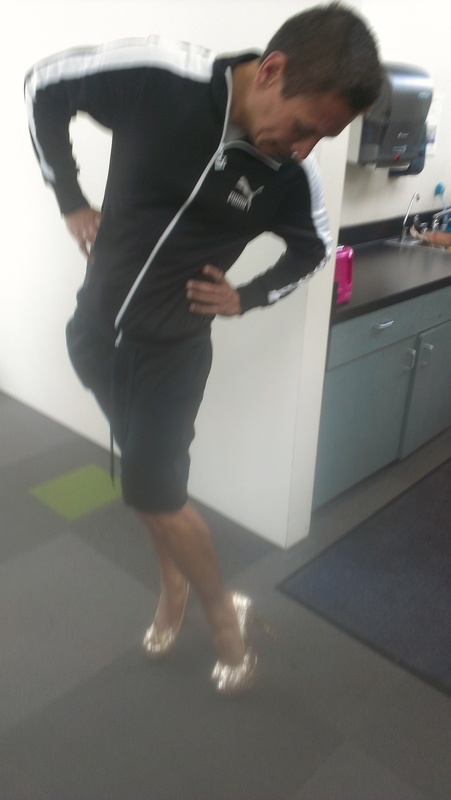 And speaking of toes, here he is trying on shoes at his fitting on Thursday. We are thrilled to be working with such a fun client; he told us “Anything Goes!” What designer doesn’t love to hear that? We are creating a splendiferous outfit, a mash-up of Louis XVI and Liberace. Come back in a week to see photos from the event...trust us, they will be worth waiting for!